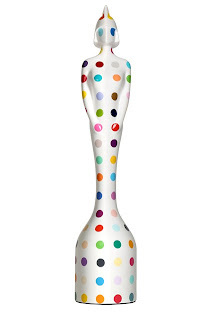 After posting about his famous exhibition within the Tate Modern, which grew a very large number of readers I thought I would post about Hirst’s latest project which is in regarding of this year’s Brit Awards. 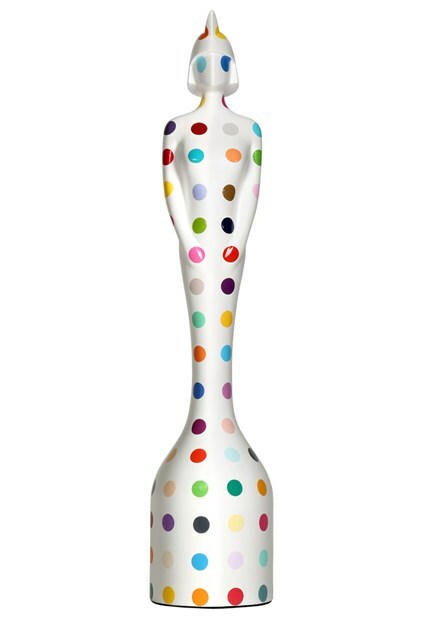 Damien Hirst has designed this year’s Brit Awards ahead of the musical award ceremony, which has been a tradition for the Brits. This project has seen Dame Vivienne Westwood to Sir Peter Brooke take to the creative vision of this award. Hirst’s design is simple but very colourful featuring multi-coloured spots in which will be handed out on the 20th February. "I am honoured to be asked to design this year's statue," said Hirst. "It has become such an iconic award, I love the Brits."